Evans, Ga (March 19, 2018)– Today the Development Authority of Columbia County and the Columbia County Board of Commissioners unveil the name and vision of Columbia County’s newest business park. On December 28, 2017, the Development Authority of Columbia County purchased 271.9 acres at Exit 183 on Interstate 20 between Appling and Harlem. 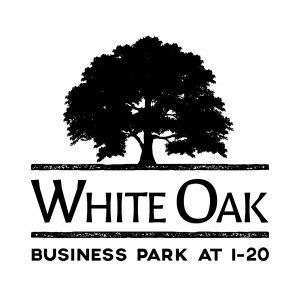 The park has been named White Oak Business Park at I-20. Comprised of nearly 300 acres just off I-20 in Columbia County, Georgia, the White Oak Business Park at I-20 is a modern, upscale business park focused on strengthening the County’s innovative manufacturing sector while simultaneously preserving the area’s natural resources. The park is an ideal location for companies and operations that are focused on the production and movement of goods in an area that offers competitive operating costs and excellent infrastructure and prioritizes eco-friendly business practices. 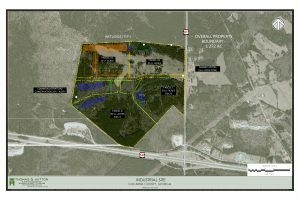 The need for a new industrial park in Columbia County was specifically addressed in the Development Authority’s economic development strategic plan completed in November of 2016 and the location of the new park was driven by the Vision 2035 Plan, Columbia County’s growth management plan. 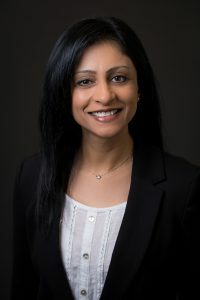 When naming the business park, the Development Authority of Columbia County focused on paying respect to the local community and environment while establishing a brand of quality for eco-friendly minded businesses. The first tenant, Club Car®, is the global leader in golf and utility vehicles and a brand of Ingersoll Rand®. 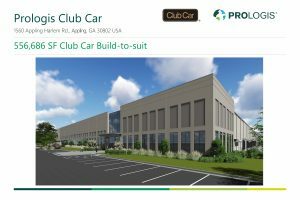 Local officials and the company joined together to celebrate the groundbreaking of Club Car’s new 550,000 square foot distribution center. “The Development Authority of Columbia County is committed to supporting the growth of jobs, business, and diversifying our local tax base. 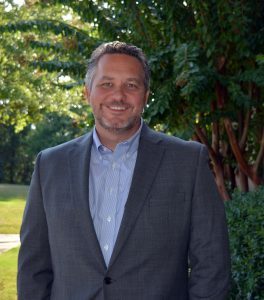 This new industrial park will position Columbia County for strategic growth and open the door to new opportunities,” stated Hugh Hollar, Chair of the Development Authority of Columbia County. The Development Authority of Columbia County is the lead economic development organization for Columbia County, Georgia. The role of the Development Authority of Columbia County is to foster economic growth through supporting existing industry and small business, recruiting of new companies, and product development. This is accomplished by working with local industry, community leaders, entrepreneurs, site selection consultants, developers, and business leaders to secure new investment and jobs.